Travis E. Frye is a Master’s level Licensed Professional Counselor through the Arizona Board of Behavioral Health Examiners who specializes in marriage, couples, and relationship counseling. He is an expert men’s counselor and has helped many men in their personal lives and relationships. Travis is also trained in leadership development as well as personal growth for professionals. He is one of the original founders of the Emotionally Focused Couple’s Counseling community in Arizona and currently serves of the Arizona Board of Directors for Emotionally Focused Couples Counseling. He is currently one of a handful of therapists in Arizona who is certified in Emotionally Focused Therapy (EFT) for couples and families. He is the CEO and Clinical Director of Crossroads Family Counseling Center, LLC. Travis Frye is a relationship expert trained in attachment theory and EFT. He helps people in their most important and meaningful relationships (marriage and family) to improve communication, resolve conflict, and to connect on a more intimate level which has the power to create positive and lasting change. You will learn how to move beyond the surface level arguments and go to the root causes of the issue. 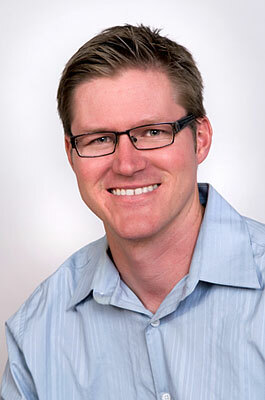 Travis Frye is a past recipient of the Threebestrated.com marriage counselors in Phoenix. Travis works to help individuals to achieve greater growth and success in their personal lives, relationships, and careers. Leadership development, personal growth, and helping others to achieve their goals is one of Travis’ greatest passions. His unique blend of combining both psychology, coaching, leadership principles and counseling techniques can help you to achieve the growth you are looking for. Travis E. Frye MA, LPC is a Townsend Leadership Program (TLP) Director. TLP is a leadership, professional, and personal growth training program developed by best selling author, business consultant, and psychologist Dr. John Townsend. TLP is a year long dynamic group training program for high level executives, business owners, managers, pastors, and for those in leadership positions. TLP is a highly effective way to help business professionals achieve the outcomes they desire in leadership and to overcome and eliminate obstacles which may be preventing them from realizing their full potential. Travis E. Frye MA, LPC is also a Credentialed Christian Counselor through the New Life Ministries Counselor Network since 2007. As a New Life Credentialed Counselor Travis works with couples, families, and individuals to bring God’s hope, healing, grace, and truth to broken marriages, hearts, and lives. Travis completed his undergraduate studies at Biola University where he met his wife Kari. They have two sons and a daughter. Travis received his Master of Arts degree in Marriage and Family Therapy from Hope International University. He is a Licensed Professional Counselor by the Arizona Board of Behavioral Health Examiners, a Certified EFT Therapist and Supervisor-in-training, a Certified Therapist in Anger Management (CAMT2), and is certified in the Grief Recovery Action Program. 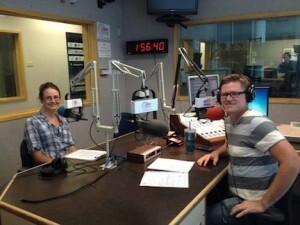 Travis and Kari Frye Guest Host Koinonia 1360 KPXQ. Travis Interview on K-LOVE Radio. Travis on FaithTalk 1360 KPXQ Radio…Marriage Counseling Advertisement. Take action today by calling 623-680-3486 to set up your FREE 20 minute phone consultation to learn how we can help you. To contact Travis, please fill out this form and click submit.